I didn’t take nearly as many pictures this year as last year because I was working at the convention, but here is the photoset anyway. The Bethesda booth to promote Fallout 3 was very impressive. 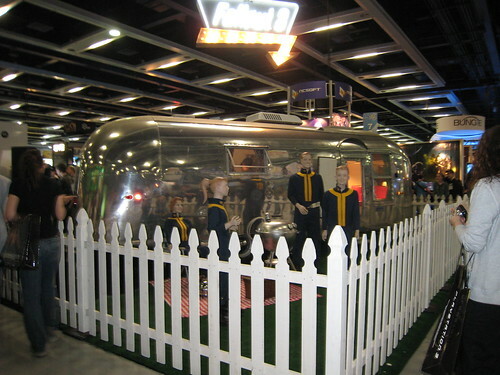 They brought in an old 1950s trailer, put a white picket fence on one side, and plonked a 1950s style nuclear family on the inside of the fence. 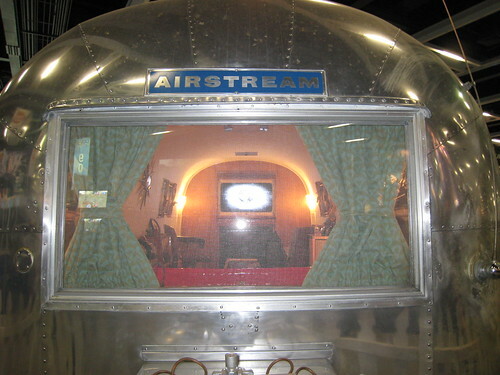 The inside of the trailer was a lounge furnished in the 1950s style, complete with TV where I guess you could either watch the demo of the game or play it. 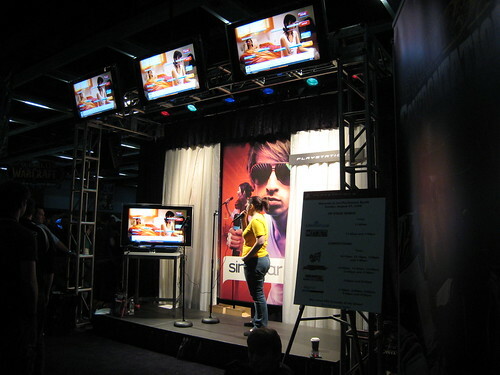 The SingStar presence was at the back of Sony’s booth. 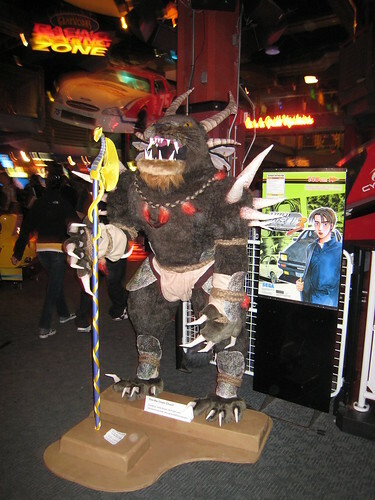 There was a stage where you could try out the game to win copies for the PS3. At the ArenaNet party, some fans created a big furry statue of a charr. 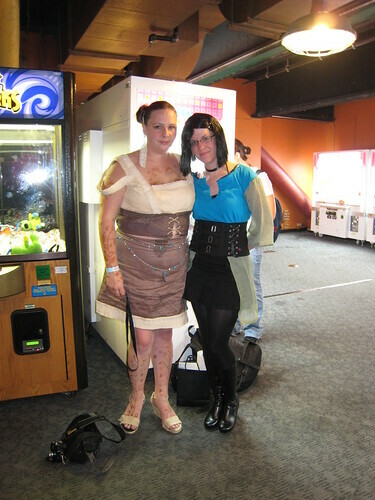 There was two other cosplayers I saw at the party. A Mesmer dude and ummmm I forget the class name of the other girl. It was good. Ohh, I saw the Mesmer. I don’t remember the other one, though. Wow, you are lucky to be there at PAX. Nice pictures and report too. Did I mention that I really really really want to cosplay Gwen for Dragon*Con? Little girl Gwen though, she’s simpler to make I think. Looks like it was a fun convention, I never made it to one of these. I’m going to see if I can maybe take a day of nest year and visit one. I’m sure it’s a lot of fun!